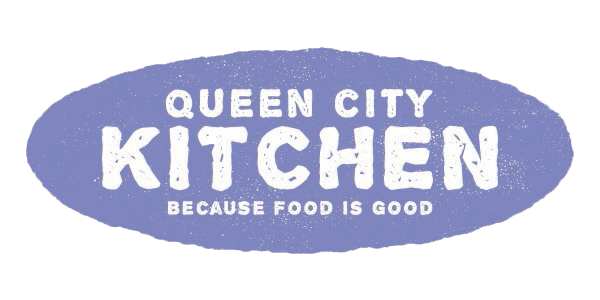 I have been too busy these past few months that I totally forgot to post a recipe I prepared on Good Day Charlotte back in October. My brain is so fried that I can’t even remember the story that inspired my recipe. I thought about making something up, but that required way more brain cells than I can’t spare for creativity at the moment. Between my kids’ basketball schedules, client needs, the novel and cookbook I’m supposed to be writing, and a gazillion other distractions, I have no time to think or remember anything that isn’t written down. Fortunately, I have the super power to thrive on chaos when necessary, and everything that needs to get done usually does sooner or later. 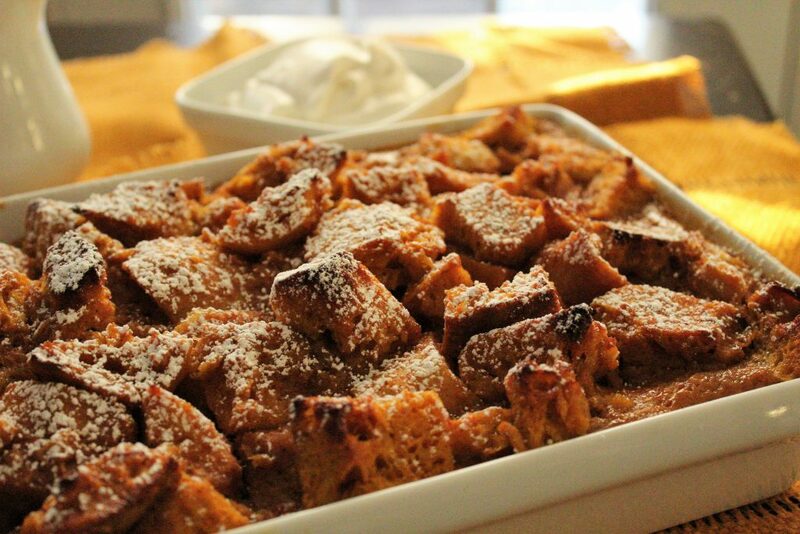 In the case of my pumpkin bread pudding post, it’s later. So now I’ll just give it to you straight. 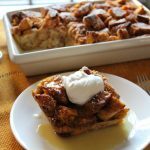 This recipe combines the flavors of two holiday dessert favorites: bread pudding and pumpkin pie. It’s amazingly delicious and sings, “Happy holidays!” And if your life is as hectic as mine is right now, feel free to kick the bourbon up a notch. I did. Whisk the eggs, egg yolks, pumpkin, half and half, sugars, bourbon, if using, salt, cinnamon, ginger, cloves, nutmeg, and vanilla in a large mixing bowl until combined. Whisk in the melted butter. Lightly grease a 9-inch by 13-inch baking dish. Place the cubed bread in the dish in an even layer, and pour the pumpkin mixture over it. Allow the bread to sit at room temperature for 30 minutes, or for up to 24 hours in the refrigerator. Bake until the pudding is set and beginning to brown, about 45 minutes. Allow the pudding to sit for 10 minutes before serving. Meanwhile, make the bourbon sauce. Melt the butter in a medium saucepan over medium-low heat. Stir in the sugar until combined. Whisk in the heavy cream, bourbon, egg yolks, and salt. Cook until the sauce is slightly thickened, about 3 minutes, whisking frequently. Do not let the sauce come to a boil. Remove the pan from the heat and cool the sauce for 5 minutes. Dust the bread pudding with confectioners’ sugar. Serve warm with bourbon sauce and whipped cream. This entry was posted in Dessert, Recipes and tagged bread pudding, dessert, holiday baking, pumpkin on December 3, 2017 by Andria Gaskins.